We just got a brand new trailer for LEGO Harry Potter Years 1-4 titled "Conjuring up Fun." The focus of the trailer is on the open nature of LEGO Games, and specifically the creative things you can do in the latest addition to the franchise. But what really grabbed our attention is the focus on co-op and a unique implementation of split screen co-op. 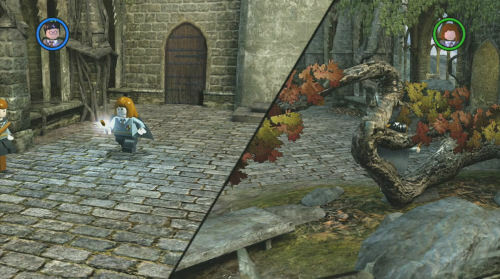 While most games stick with a vertical or horizontal split, LEGO Harry Potter uses a dynamic split that rotates the view depending on each player's character's screen. It's tough to describe and best scene in action, but it's almost comic book like. I'd like to see more games take a creative approach to split screen. Page created in 0.4652 seconds.